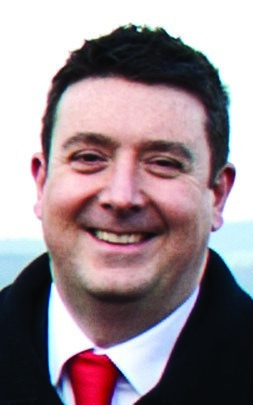 BIOGRAPHY: Born in 1968, Adrian grew up in Bo’ness, and attended Deanburn Primary and Bo’ness Academy. After studying Journalism at Napier College, Edinburgh, he joined the staff of The Falkirk Herald. In 1991 he became one of its youngest chief reporters. In 1999 he launched his own award-winning PR business, which he still runs. 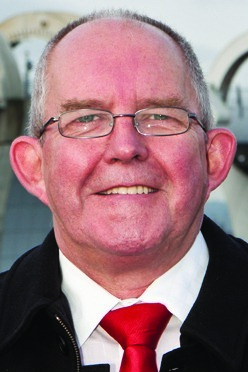 He was elected as a community councillor in 2005 and became a Labour member of Falkirk Council in 2007. FAMILY: Married with three children and six grandchildren. BIOGRAPHY: Born in Glasgow in 1950. Lived in Banknock, firstly at 1 Loganlee, before moving to 24 Glenview Avenue in 1956. Attended Banknock Primary School and Denny High School. Left school in 1965 to work in the John G. Stein Brickwork at Allandale, as a production clerk. Jim moved on to Burrough’s Machines in Cumbernauld, followed by a spell at the Lovable Bra Company in Wardpark. In 1976, he moved to Devro, at the firm’s Moodiesburn plant. He was employed as a process control operator until his early retirement in March 2007. During his work with Devro he was the shop steward for 29 years and union convener for 25 years. As a member of the Transport and General Workers’ Union, he served on their regional committee, chaired the regional food drink and tobacco committee and chaired the Glasgow district committee. He served on the Banknock, Haggs & Longcroft Community Council and was also a member of the Bankier Sports Centre steering group set up by local residents to generate funding to build a much-needed centre for the area. 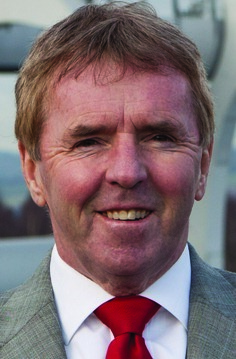 In 2007 he was elected as the Labour candidate to represent Ward 3 within Falkirk Council. 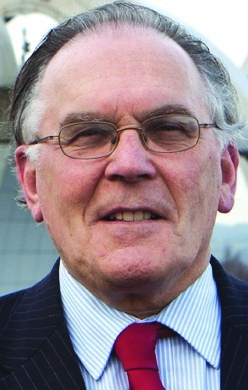 During his term of office he has held the position of convener of the Housing and Social Care Committee and vice-convener of Central Scotland Police Board. He enjoys relaxing with his grand children, enjoys reading, and tries to keep fit at the gym. FAMILY: Married to Senga. The couple have three children – Donna, 28, Craig, 27 and Vania, 10. The couple also have four grandchildren. BIOGRAPHY: Craig has lived in Carronshore for almost 30 years. 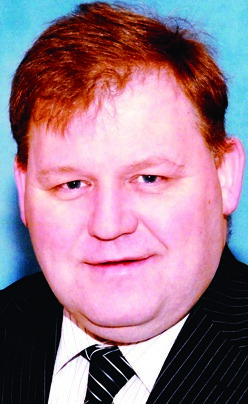 He has represented the local community since 1998, when he won a by-election in Carronshore. He was a local community activist prior to becoming a councillor and served on many local groups. Craig takes great pride in representing his community. As the current Leader of Falkirk Council, he is passionate about social justice and creating a “Fairer Falkirk” by helping the most vulnerable in society, ensuring services provide high quality support and advice. He is also a strong supporter of the local business community and was previously the Council’s economic development convener. 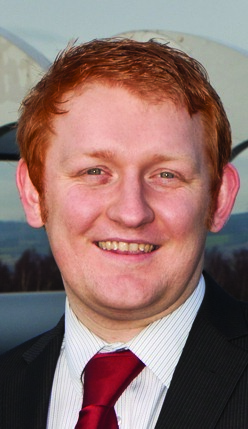 As Leader of the Council, Craig has been instrumental in driving improvements throughout the Falkirk area. He has been particularly keen to ensure that the Council works with partners in creating job opportunities for people of all ages, with a particular emphasis on reducing youth unemployment. FAMILY: Married to Elizabeth for 34 years. They have three grown-up children – Gordon, Diane and Robert. The couple also have seven grandchildren. BIOGRAPHY: Charles has been a councillor for nine years. He is currently convener of environment and community safety. 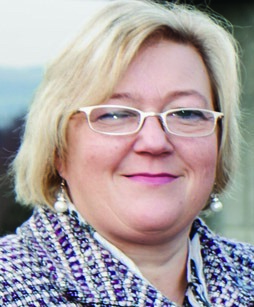 Previously, depute leader of the Council. He has spent 35 years working in the community – through the local youth club, PTA and gala days. He is also supportive of the groups Braveheart and the British Heart Foundation. Away from the Council he works as a window cleaner. During a 30 year spell he has built up a wide knowledge of the area. ADDRESS: 30 Parkend Crescent, Shieldhill. FAMILY: Married with two children and three grandchildren. 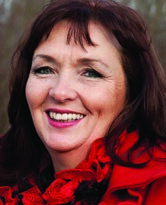 BIOGRAPHY: Linda has been a Labour Councillor since 1995. Her previous employment included working in residential childcare for Central Regional Council and six years as a local youth worker working with local teenagers. Linda has held the post of Leader of the Council and has represented the Council at a national level as secretary of the Labour Group on the Convention of Scottish Local Authorities (COSLA). She also served as Falkirk Council’s representative on Forth Valley Health Board. Linda is proud of job creation in Falkirk through apprenticeships and Falkirk Council’s success in attracting business to the area. She also recognises that more needs to be done and is keen that Labour wins the election to continue what it has started. Linda worked with others to see the successful completion of Larbert Village Primary and the refurbishment of the Bonnybridge Community Centre. BIOGRAPHY: Craig is a born and bred Falkirk bairn, growing up in Carronshore and now living in New Carron Village. Craig has been a local councillor since 2007, whilst also completing a doctorate in Chemistry at the University of Glasgow. He graduated in 2007. Craig has worked since the age of 16, working for five years at Pizza Hut in Falkirk and for 18 months at FujiFilm in Grangemouth. He is committed to lifelong learning and is a great believer in creating opportunities for people to continue their learning after leaving school. Craig has just become a father to Craig Michael Martin. His wife, Helen, works as a senior official at the Scottish Trade Union Congress. Craig is a Falkirk season ticket holder and enjoys playing as well as watching football. FAMILY: Pat is married to Sandra, with four children and seven grandchildren. BIOGRAPHY: Pat was born in Falkirk – home to his family for several generations. Educated in Falkirk and Glasgow, he had a career in local government finance and administration in Falkirk, apart from spells in Canada, Glasgow and Callendar Park of Education. 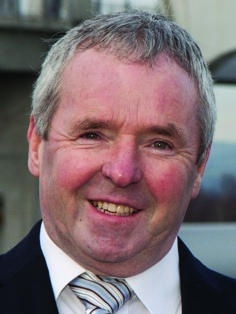 Pat was elected as a councillor in 2004 then re-elected in 2007 when he was appointed Provost. Pat is a great believer in working in partnership with others (at Council level and in communities) to develop policies for the betterment of the lives of people in the Falkirk area. He enjoys meeting and listening to people of all ages and backgrounds and giving freely of his time to try and help wherever possible. Away from politics, he enjoys supporting Falkirk FC, local history, music, walking, reading and family pursuits. FAMILY: Married with two children and two grandsons. 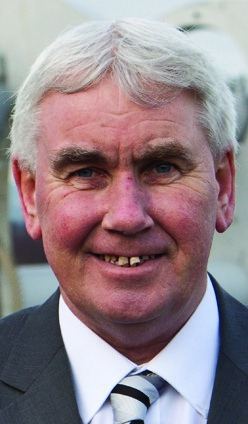 BIOGRAPHY: Dennis was previously a councillor for 27 years. During that time he was elected Provost three times and also served as the Leader of the Council, driving improvements for the people of the Falkirk area. 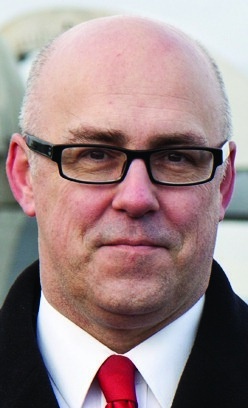 Prior to serving as a councillor, he worked in the local British Aluminium plant and served as the trade union representative. Dennis stood twice for election at the Scottish Parliament elections. Dennis has set up local Gala Day groups, Senior Citizens’ Clubs and Area Watch Committees. He has campaigned tirelessly for people who are vulnerable and on issues which have affected his local community over the years i.e. in education, social work, leisure and tourism and particularly economic development. He has always been keen to focus the Council and partners on the creation of jobs and training opportunities for people in the Falkirk area. FAMILY: Married with four children and six granddaughters. BIOGRAPHY: Gerry has been a councillor for over 30 years and is a former convener of Environmental Health, Housing and Social Work Committees. Previously, he was also Depute Leader of Falkirk Council. In his committee work and local community work, Gerry has been instrumental in working with others to create jobs in the retail sector and developed other job opportunities for people in the Falkirk area. He has contributed ideas which have driven numerous improvements in local housing, roads and infrastructure and youth employment. Prior to being a councillor, Gerry worked locally in the building trade and latterly with the Wrangler Company in Camelon. FAMILY: Married to Val. Has a daughter, Jade (20) and a son, Taylor (16). 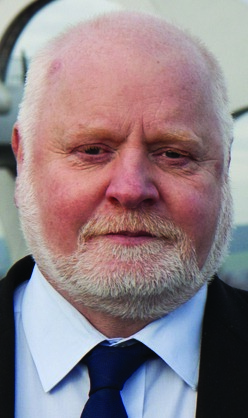 BIOGRAPHY: Alan is currently a full-time councillor, He is also Convener of Central Scotland Joint Fire and Rescue Board. Alan worked previously for 28 years as a civil servant. He was also a special constable with Central Scotland Police for a number of years. Alan has worked hard to make a difference in the communities he represents, especially in housing matters and trying to solve anti-social behaviour problems. Alan believes in working with the community and with partner services such as the police or working with council officers to address local community concerns. BIOGRAPHY: Born in 1954, John McLuckie grew up in both Slamannan and Limerigg, attending Slamannan Primary School and Woodlands High School. He studied as an apprentice in mechanical engineering at ICI Grangemouth while attending both Park Street and Falkirk Colleges. A few years after qualifying, he moved to Carron Foundry, then started contract work at the BP. John eventually found a job he really enjoyed . . . as a joiner. In 2007, he was elected as a councillor, representing the Upper Braes. John had previously spent 15 years as a community activist – chairing a Community Council and being involved in an environmental group and Slamannan Community Education Association. He has also helped fundraise for a variety of community groups. Away from politics, John enjoys playing dominoes and travelling Scotland to supporting his daughter, attending all of her stage dance competitions and performances. John works hard for the Braes communities: e.g. new combi boiler systems; ensuring roads remain open during the winter and promoting core paths networks to connect the village. 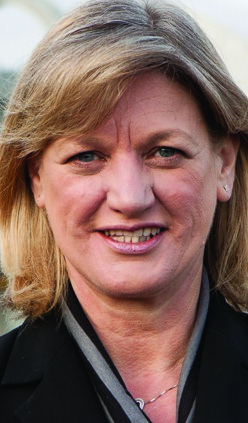 BIOGRAPHY: Born in Falkirk in 1963, Rosemary attended schools in Grangemouth and Falkirk. She studied Occupational Therapy at Queen Margaret University, graduating in 1984 and later gaining a BSc (Hons) degree with the Open University, and then a post graduate qualification in Community Care from Stirling University. 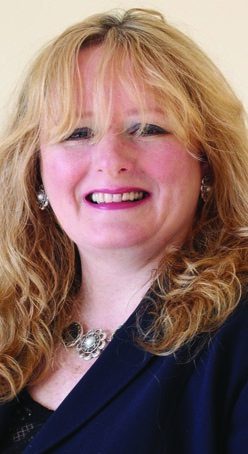 Rosemary has over 20 years’ experience of delivering community care services. She worked for Central Regional Council and for 10 years in Falkirk Council particularly in the Braes, Falkirk, Bonnybridge and Denny areas. Her role has involved adapting houses and providing equipment to assist people with disabilities. She is well aware of the challenges facing people who live, work and travel to and from the Braes. Rosemary currently manages a team of occupational therapists in West Lothian Council (the service has attained Charter Mark and Customer Service Excellence awards). A former carer herself, she is committed to supporting carers and those with a disability and mental health problems in particular. Outside of politics Rosemary is a keen environmentalist, and enjoys photography, swimming and walking her dog.